It’s hard to gracefully accept a decision especially when it’s coming against you; that’s the nature of humanity, and sportsmen. Thursday morning took a share of Wednesday night’s uproar as Fans, players and pundits took a moment off to pour out their emotion against something that’s already done. And now, I realize we just soaked-up a ‘big kick-back of passion’ Wednesday’s Champions League result between Real Madrid and Juventus presented. I know, I know! It’s probably that same feeling I would develop if my ‘cheese got moved. Juventus were outraged by Michael Oliver’s decision that decided the tie in added time. Getty images. Right or wrong, I believe everyone is entitled to their opinion and by some standards, we should be able to analyze Michael Oliver’s decision in a more objective light; -without the need for passion. “You realize modern football has created so many divers that a slight touch is enough for them to go down for a penalty to be awarded. In the 90s, such penalties would not be awarded.” Said one colleague of mine. But if you are living in the world of today, things are, and will be done the way they are supposed to be done today. Not as they would be done back then. The Laws of the game have been adjusted a number of times and you realise there have been many changes. Learning how to interpret them is one thing and learning how to refer to the yester-years is relatively another. But let’s take a look at what Laws of the game make of this incident. If an offence involves contact it is penalized by a direct free kick or penalty kick. The links below redirect to the penalty incident. From the incident, we can clearly see that Mehdi Benatia arrived late for the moment, gave Lucas a slight push and gained momentum to jump. There was no way Benatia could have jumped at such a speed without support to gain momentum. Video Clip angle 2 clearly gives the view. What the hell was he thinking? He clearly was behind Vazquez and there never was a way he was getting a reasonable amount of touch on the ball. The Clip clearly shows that Mehdi Benatia clearly kicked the opponent before the ball bounced off his (Vazquez) chest into Buffon’s gloves. If Benatia had caught the ball, it wouldn’t have flown straight into Buffon. In other words, he acted in a reckless manner and that was avoidable had he restrained. 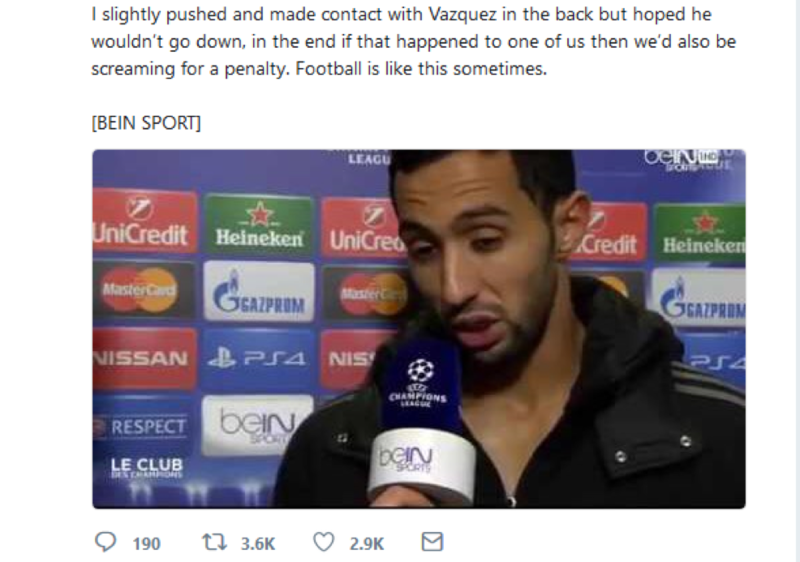 Benatia earlier claimed he ‘got the ball’ but this clip clearly shows he missed it and instead landed his boot on Vazquez’s chest. This was the moment Benatia failed to take control over, allowing Madrid an added time road to the semis. Getty images. And that is what exactly happened. Maybe Michael Oliver is ‘one of the most bullied referees in the Premier League’ but his decision was right and wasn’t bullied into this. It is clear that the footballing world will never agree on anything, let alone something so controversial. But it’s done and Real Madrid are through into the semifinals. What Mehdi Benatia did was to give the referee a direct decision to take. But were Real Madrid getting eliminated by Juventus? Before the controversial penalty, Juventus had leveled the tie at 3-3 and the game was headed for extra time. If you were following the game closely you could see that Juventus had started falling behind and were running out of steam. Massimiliano Allegri’s men had retreated into their own half and the only way you can beat Zinedine Zidane’s Madrid is by attacking them with full throttle like they were doing moments earlier. The tie was headed for extra time and Zinedine Zidane has not lost a game during these moments. The last time Madrid lost a game during or after extra time was against Bayern Munich in the 2011/12 semi finals that they lost on penalties. Since then, Madrid have gone on to beat Atletico and Bayern in the Champions League two times at the finals (2014 & 2016) and Semis (2014&2017) respectively. Signs were getting clearer towards the end of the game that Madrid were getting better and better towards the end of normal time and had caged Juventus into low pressure defending. On any other day, Ronaldo would have missed that penalty but went on to score, a sign that Madrid were going through by all means. Zinedine Zidane admitted that his team suffered because of the mistakes they made but don’t forget it is what he was as a player that the team has always depicted on pitch. It’s not easy to distinguish between Zidane’s career as a player from that as a coach. And we know him by one character; – a big game player. He has taught Madrid when to rise to occasion. Since taking over from Benitez, Zidane’s Madrid have won all their knock-out ties and until it happens, they remain one of the best sides when big games arise and this wasn’t any different. Madrid struggled from the start of the season both in la liga and champions league, including that Tottenham humiliation. 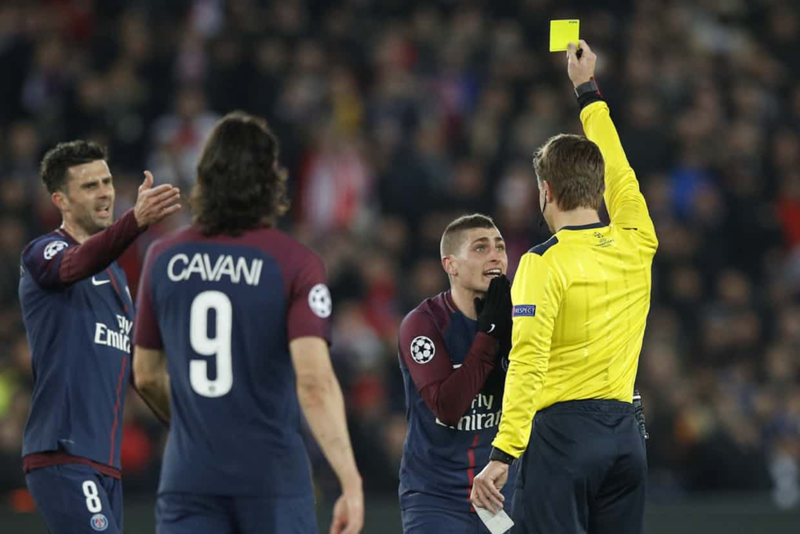 But when it was time for the knock-outs, Madrid rose to occasion, eliminating PSG even after most bookmakers had written them off. Juventus was no exception. Maybe something was not right or wrong, but Madrid were not getting eliminated by Juventus, the end to yesterday’s tie just justified the means.